Rope effects have been traditional and provide impactful stage magic because of their "pack small and play big" qualities. Long, Long Rope Deluxe by Mr. Magic is no exception. The magician shows a very long piece of straight rope. With a quick magical gesture, he is able to suddenly transform this single piece of rope into 6 INDIVIDUAL loops of rope. 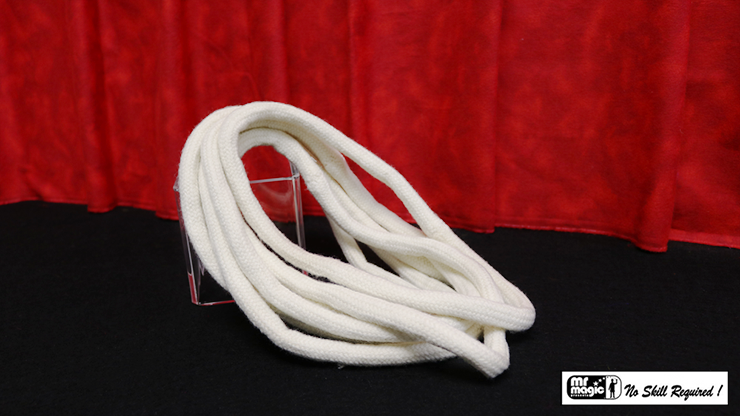 The Mr. Magic Long, Long Rope Deluxe is made of high quality wool for a smooth feel and long-lasting durability.